“Clean eating” is a buzz phrase that you may be hearing lately. What does that mean, though? According to the Mayo Clinic, “clean eating is, in essence, a diet — just a way of eating. But it is also a way of living that lends itself to improving one’s health and wellbeing.” They go on to explain that clean eating involves eating real foods that are not processed, eating for the purpose of nourishing the body, and eating safe food that is washed, cooked, and stored properly. 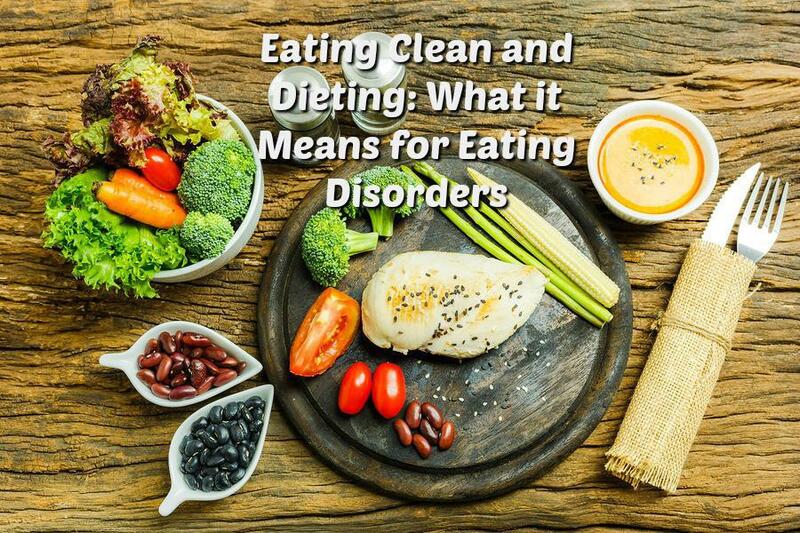 While this doesn’t sound so bad, the National Eating Disorders Association suggests that clean eating is actually dieting, but just called something else. Mental health experts have begun to see that the “clean eating” trend can impact those at risk for eating disorders negatively. To begin with, the idea of labeling certain foods as “dirty” as opposed to “clean” can be a dangerous concept. If someone is eating anything other than vegetables, fruits, and lean proteins, does that mean that what they are eating is “dirty?” For those struggling with weight and diet issues, this can quickly turn into obsessing over everything that one consumes according to the Huffington Post. This could potentially lead to an eating disorder. If you notice that your teen has gotten caught up in the “clean eating” trend, here are some ideas on how you can encourage healthy eating habits instead. While there are some foods that we know we shouldn’t eat all the time, like a box of cookies, the danger of labeling certain foods as off-limits it that it causes them to be more tempting to eat. Explain to your teen that it is perfectly okay to have a cookie occasionally. Everything in moderation. Don’t fall prey to the trends out there. Between food bloggers, social media, etc. all new diet trends are put out there and largely discussed-particularly when they have been successful for weight loss. “Clean eating” might be all the rage right now, but down the road society will likely shift gears onto the next trend. Talk to your teen about the importance of not always following the crowd and evaluating what is right for them. Focus on the nutrients that your body needs. As stated by the Huffington Post, nourishment isn’t just the physical, but also about the mental and emotional satisfaction that food can provide. Eating a salad with grilled chicken, and light dressing is a satisfying and healthy meal, but that doesn’t mean that your mom’s homemade pasta dish isn’t just as satisfying. There is a time for comfort foods. Remind your teen of that. Encourage your teen to take cues from their body as to what nourishment they need and to be diligent about not obsessing about whether the foods they are eating are “clean” vs “dirty.” If you are concerned that your teen’s fixation with food is dangerous, please consult one our specialists here at Doorways. Doorways offers individual and group programs for teens and young adults who are struggling with eating disorders. Our certified eating disorder experts are here to help your teen get their life back again.